Last Saturday, I attended the Ramen Craze Plus by Chef Seiji Kamura at The Maya Kitchen in Makati. 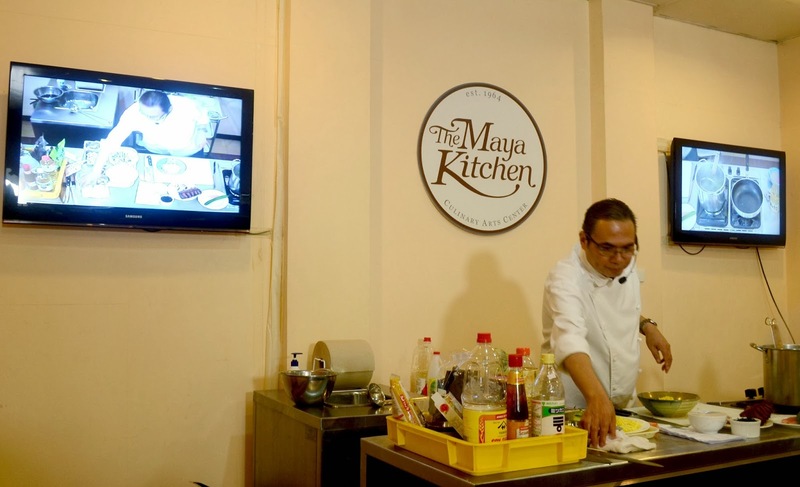 It was my first time to attend a cooking class at the famous Maya Kitchen and I was super excited since Chef Seiji will teach us the secrets of oishi ramen! A lot of ramen enthusiast trooped to The Maya Kitchen to listen and watch Chef Seiji as he prepared ramen dishes for us. Afterwards, we also got to taste the yummy ramens. 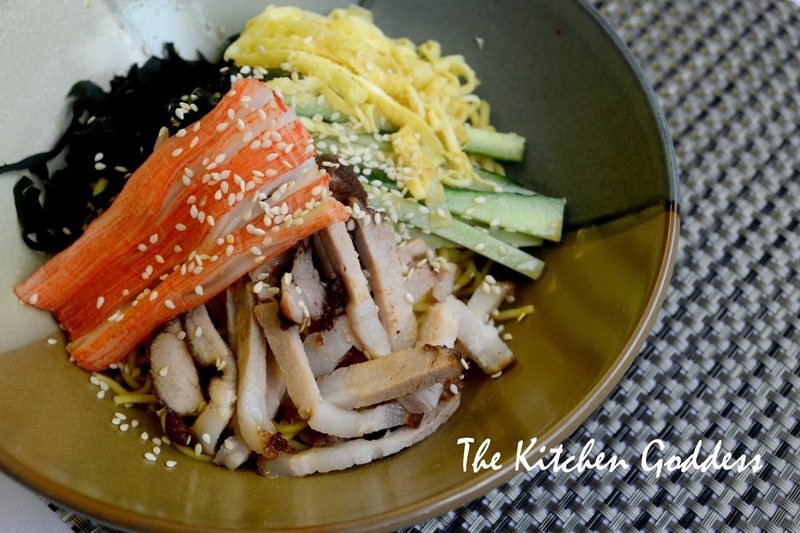 He shared his Hiyashi Chuka recipe (below). Boil noodles for 3 minutes. Transfer in iced cold water then drain. Plate noodle, garnish with cucumber, egg, chasu, crab stick, and wakame. Just before serving, sprinkle sesame seeds and drizzle with hiyashi chuka dressing. Go to link for Chef Seiji's Yakisoba Recipe.